Honda Engines exhibited the GX Series V-Twin engines at the 2017 GIE+EXPO. The engines are designed to offer more power and adaptability with greater fuel efficiency in a more compact package, according to Honda. Six V-Twin models (GX630, GXV630, GX660, GXV660, GX690 and GXV660) are available in both horizontal and vertical shaft configurations. The engines are designed for commercial turf equipment and construction equipment. A twin barrel inner-vent carburation. Also at GIE+EXPO, Honda Engines showcased the GX Pressure Washer Optimized Industrial Series engines, designed for direct-drive pressure washer applications. 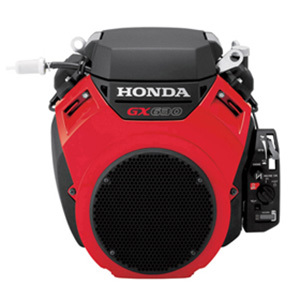 The Optimized series is available with Honda GX160, GX200, GX270 and GX390 engines. The model lineup features a fixed throttle and provides maximized engine performance at wide-open throttle and increased power output in the GX200 and GX390 series engines, according to Honda. Honda Power Equipment featured its newest addition to the portable power line—the EB2800i industrial open-frame inverter generator. 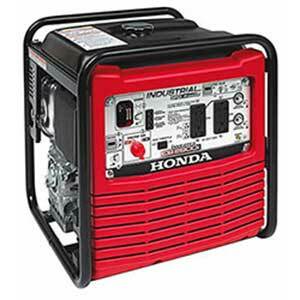 At a dry weight of 67 pounds, the portable generator is light enough for one person to unload from a truck, operate and carry around a job site, Honda said. At the same time, it provides enough power for a variety of tools, such as small compressors, air circulation fans, large concrete drills, multiple hand tools, electric concrete vibrators, circular saws and battery chargers up to 2,800 watts. It complies with current Occupational Safety and Health Administration regulations.